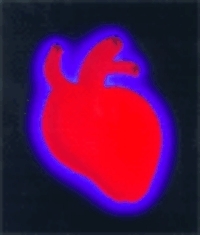 A reading / performance event by Dr. Arnold Perey, joined by Capt. 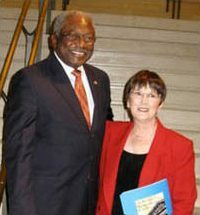 Allan Michael & flutist Barbara Allen. In this event, music, images, and narrative bring you close to people living in an ancient way in the mountains of Papua New Guinea.You get within feelings of people who seem very different, & know yourself better. For samples from Gwe click here. A lively, funny, educational event for children. 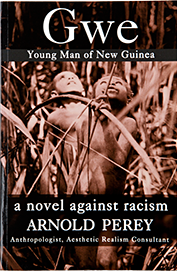 Author and illustrator Arnold Perey, an anthropologist, reads and talks about his book Were They Equal. 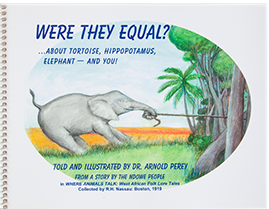 Inspired by a traditional story of the Ndowe People of Africa, it tells us how Tortoise educates Elephant and Hippopotamus, who become kinder and smarter. Good and evil are in a big tug of war, and good is victorious. A tale against prejudice that children love, and learn from. To arrange a presentation at your school or organization, contact: Devorah Tarrow, Outreach Coordinator, 212.777.4490.